We partner with parents to help children learn how to love God, love people, and live a faithful life with Jesus Christ. Children in grades 5 and 6 meet in the south building. There are volunteers at each welcome desk every Sunday to get your children signed in and plugged in to the appropriate group. Bible study, video, music, activities, and application–all of it designed with preteens in mind! Students discover God’s Word coming alive as great teachers lead them though life application from the Bible. Games and topics are based on real questions asked by real preteens. We grab their attention and don’t let go. Kids will learn how to search the Bible for answers and build a faith foundation that guides wise choices. * Will not meet Valentines Day or Spring Break. 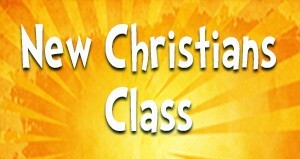 For more information and class registration, please contact the children’s ministry.